Beckner Construction has a reputation for excellence, innovation, and safety. Beckner Construction is a company committed to providing maximum customer satisfaction in the safest way possible. We are a family owned company, established in 2006 by two brothers with a passion for beautiful design and construction. We believe that each client is an extension of our very own family – a sentiment proven at each phase of the design and construction process as we build strong relationships with our customers. We specialize in interior home renovation and remodeling. As a family owned business, we understand the importance of strong relationships and strive to build lasting connections with our clients by providing an outstanding service experience. Working with Reliance provides you with one point of contact for all your project needs. From our initial meeting with you to project completion, our team will work by your side to deliver a final project that meets your needs and exceeds your expectations. Reliance provides the latest tools and technologies to its staff, administrators, and subcontractors to ensure the delivery of great craftsmanship for your project. Our portfolio of work showcases projects that highlight attention to detail and pride in quality. 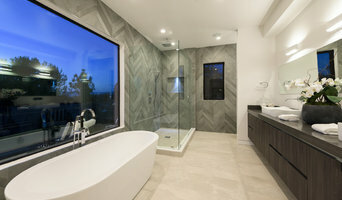 AAA Development, Inc. provides general contracting and remodeling services and construction management to the leading clientele of Ventura, Santa Barbara and Los Angeles counties. Dreamcatcher Remodeling is a family owned company serving Southern California including the following counties: Los Angeles, Ventura, Riverside, San Bernardino, Orange and the Antelope Valley. We specialize in kitchen remodels, bathroom remodels, hardscaping and landscaping, room additions, interior and exterior paint, roofing, windows, doors, flooring, heating, air conditioning and really anything that involves any type of design and planing including permit services. Our team is experienced and can assist in all aspects of your desired project. We are very comfortable and experienced performing large scale projects so no matter what you are looking for, we can help. Supreme Remodeling was founded on the idea that improving your home should be a good experience and one that leaves you satisfied, not just with the finished work, but with the process itself. Waterford Construction is a boutique construction company with a strong emphasis in personal service. 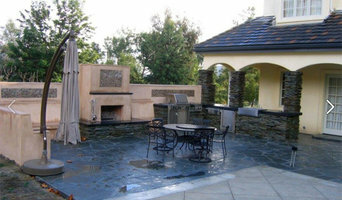 At Waterford we specialize in high end renovations, both residential and commercial. We have a keen eye for design and attention to detail. Our mission is to become your partner from conception to completion. Waterford Construction has forged strong relations with the best architects, designers, and subcontractors in the greater Los Angeles area. When using our services you can rest assured that your project will finish on time, within budget, and to the project's specifications. Traditionally, much of our new business and growth have occurred through referrals, so we strive to build long term relationships with our customers. After all, it truly should be a fun experience! We are extremely thorough with the services that we provide and aim to be very receptive to any client's issues, questions or concerns and handle them promptly and professionally. Craig Young Construction Company specializes in high-end quality home construction, including remodels, renovations, equestrian facilities, landscaping, pools, site development, and more. Denton Developments is a full service construction management and development company specializing in green building techniques, high performance structures, and innovative design consulting. Founded on three core initiatives; innovation, functionality and beauty Denton Developments is pursuing a legacy in developing high performance structures that will stand up against time. 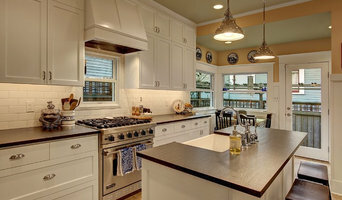 We are a full-service General Contractor specializing in kitchen remodeling, bathroom remodeling and room additions. We are dedicated to the highest level of customer service and satisfaction. As your home remodeling contractor, we will work tirelessly to provide you with a personal and creative design, outstanding service and quality craftsmanship. We are committed to completing your project on schedule and within your budget. We take pride in our work as well as your home and we are dedicated to keeping everything as clean and comfortable as possible throughout each stage of work. We are serving Los Angeles county, Ventura county, Orange county and San fernando Valley. All of our work is guaranteed and we carry all necessary insurance for your protection and ours.